Yes, yes, yes, I am a veggie lover! I’ll eat them raw, steamed, baked, and grilled. I’ll usually go back for seconds when it comes to vegetables. Sometimes it can get pretty boring eating the same old vegetables the same old way and not trying out anything new. I’ve been stuck in that rut so often that it’s not even funny. That’s when I try out new veggies or even new recipes. This time I tried something different all together. A veggie spiral machine! It does thick and thin cuts and is extremely easy to use, so I decided to give it a whirl. 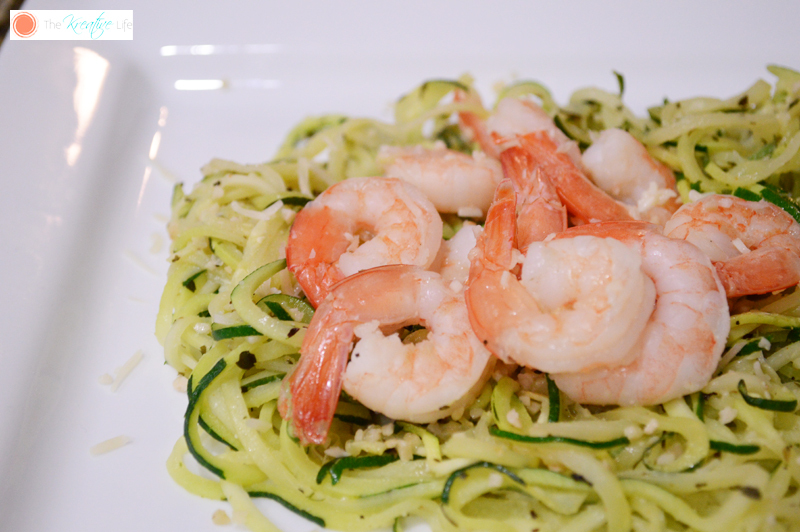 I made this tasty zucchini pasta with shrimp and it came out tastier than I could ever imagine. I love pasta and I love veggies, so why not try them together, right? Enjoy! In a frying pan over medium heat, cook zucchini in olive oil until the noodles have a consistency of spaghetti, but softer than al dente. Add in garlic powder, onion powder, basil, and salt. Toss noodles. Remove noodles from heat and set on aside on separate plate. 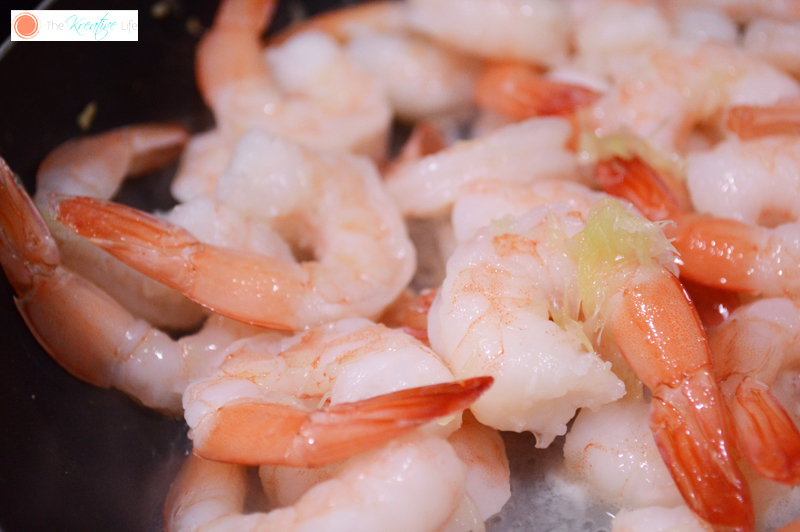 Place shrimp in the frying pan and cook over medium heat for 1 minute. Add lime juice to pan. Allow to cook for 2 more minutes and then remove from heat. Serve pasta with shrimp. Top with parmesan cheese. My husband has been on a major shrimp kick lately! He will love this. I definitely have to make this awesome yet very healthy dish! I love veggies and seafood, so this recipe is just perfect! I have to get my daughter to love it too since I’m trying to get her on a healthy path! I love this combination! 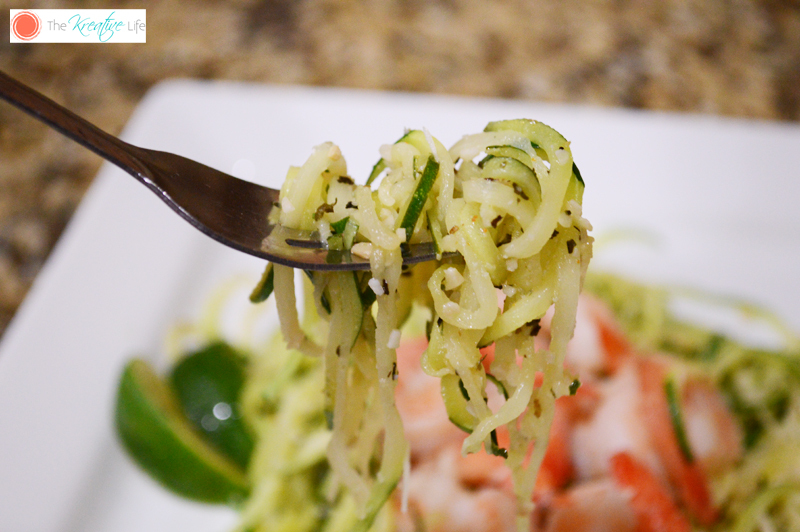 I am a zoodles fanatic and seriously put everything on it but this is one of my favorite flavor combinations! Such an interesting recipe, I will definitely try it! I love zoodles and shrimp, especially with some Alfredo sauce. This is totally something my bestie would LOVE! I might have to make it for her this week to surprise her! Thanks so much! I really have to try making this sometime. 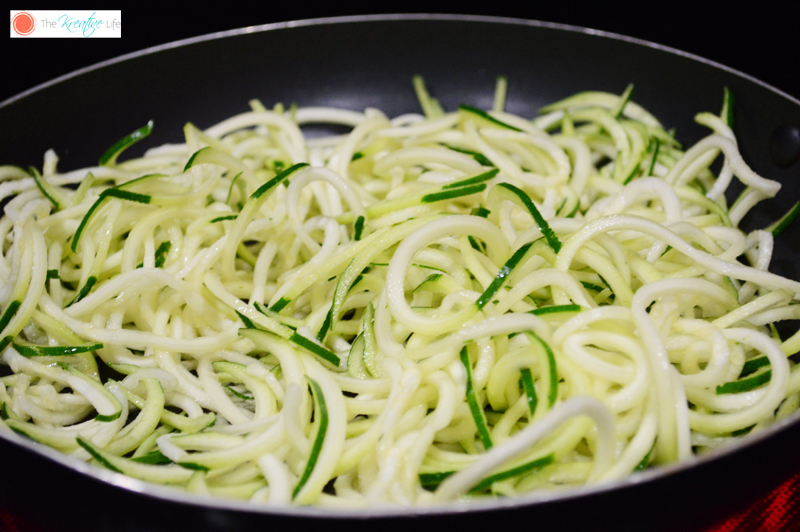 I haven’t tried zucchini spiralized yet but it sounds amazing as a pasta substitute. I am really craving for this one. Hope we can do this at home. Love this! Ron Leyba recently posted…12 Amazing Designs of Portable and Mobile Homes, Look How Clever Is #4! 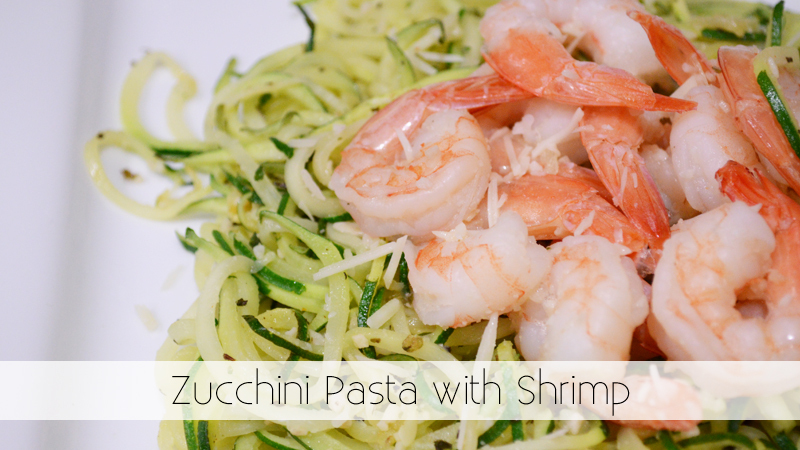 I’ve never tried making Zucchini pasta before but it sure is on my list of things to try! I love the idea of adding shrimp I think it’s the best combination! Thanks for sharing your recipe! I would love to try this recipe with salmon instead because I keep kosher. This looks so good! I totally need to invest in one of those spiralizers!! This looks delicious and a great way to eat zucchini, I always get so much in the summer it’s good to have a lot of recipes! Yum! I love shrimp! It is such a great addition to a recipe. I will have to try this recipe. yummy! i was craving for zucchini for few days now and now seeing this makes me really need to decide to make one haha i need that thing to make the zucchini shaped like that noms! This recipe looks absolutely amazing! I am making this recipe when I have guests next week! Mouth Watering! I love shrimp and this one would be great for dinner. Nikki recently posted…It’s Ice-Cream Season at Dunkin’ Donuts! I will eat anything with shrimp in it and this looks amazing. I will be making it this weekend when my family visits. I see those noodles around a lot. I’d like to try them. I do love zucchini. I haven’t tried it but I’d love to make this recipe. I’m sure my husband would love it even he has an allergy in shrimp. Omg how yummy is this?!?! So need to pin so I can try it out myself! I told myself I’ll try making zucchini pasta because it’s very healthy. Until now, I still haven’t tried it. Your look really good. wow, how yummy and simple is that! I would love to try this recipe for sure. Thanks for sharing!